Upon invitation by Bishop David Zubik, the Institute of Christ the King Sovereign Priest will be establishing a new apostolate at the Diocese of Pittsburgh. 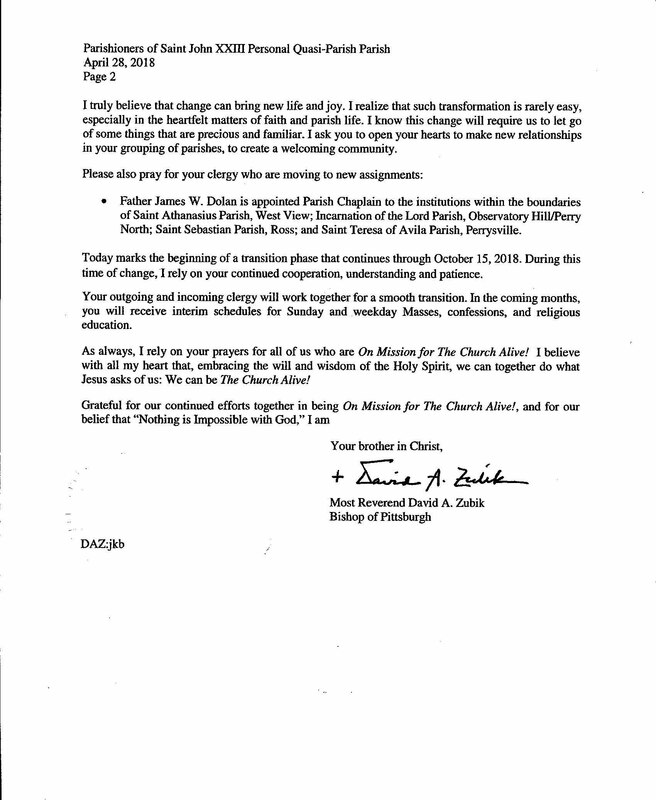 Effective October 15, 2018, two priests of the Institute will assume responsibility as Administrator and Parochial Vicar for St. John XXIII Parish, as announced during Sunday masses last April 29 (view two-page letter from the bishop below). The Traditional Latin Mass is offered daily at Saint John XXIII Parish in the Diocese of Pittsburgh, Pennsylvania.